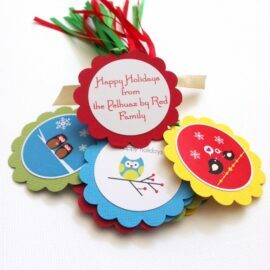 Enter Personalization Text to be printed at the backside of the tags. For personalization only. Proof Requested? Would you like to see the proof? If requested, proof will be e-mailed to you within 48 hours upon payment received. Please get back to us to avoid further delay. 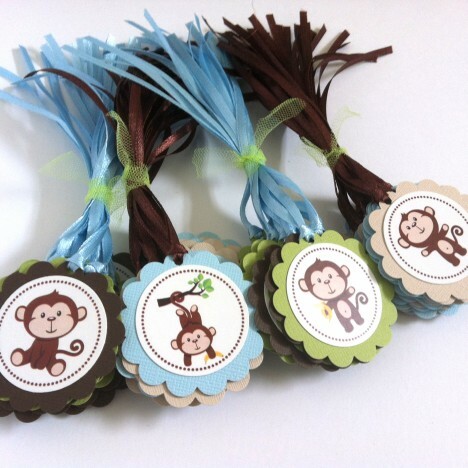 These adorable Monkey Favor Tags are perfect for a baby shower or birthday celebration. 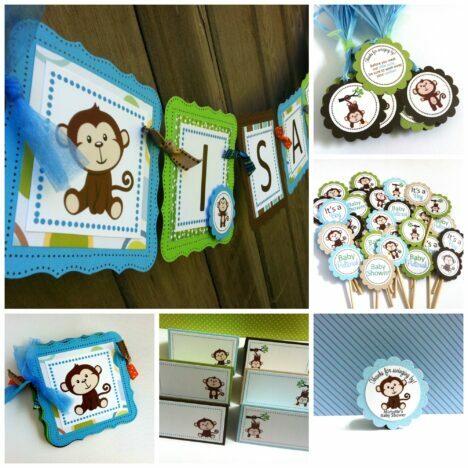 Celebrate your little monkey’s milestone and make it a memorable event, treasured forever. Adorable! 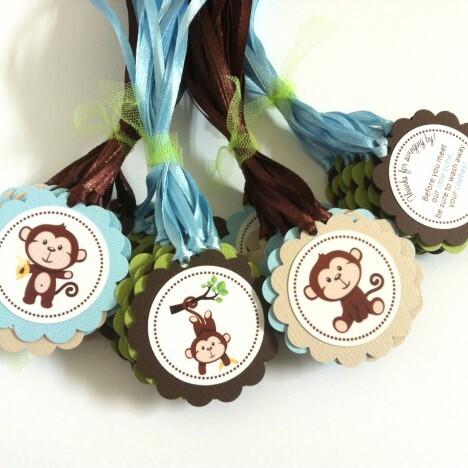 In each set, you will receive 12 (twelve) Monkey Favor Tags, pre-strung with ribbon. 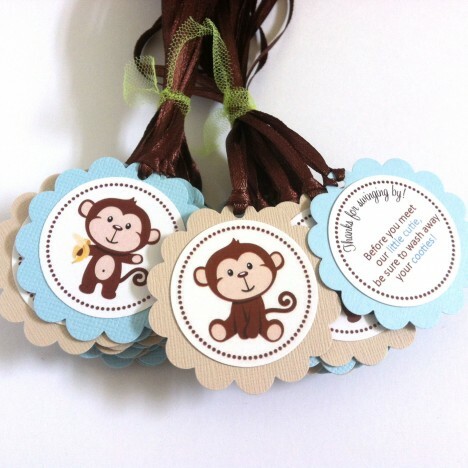 All you need to do is attach these adorable tags to your favors. Four (4) different colors of cardstocks are used here: blue, light and dark brown as well as green. 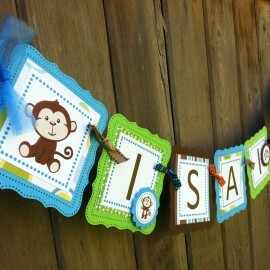 Furthermore, a few different cute monkey images are included. Why just get one when you can get a variety? But if you do have a preference, please let us know and we will make that happen. 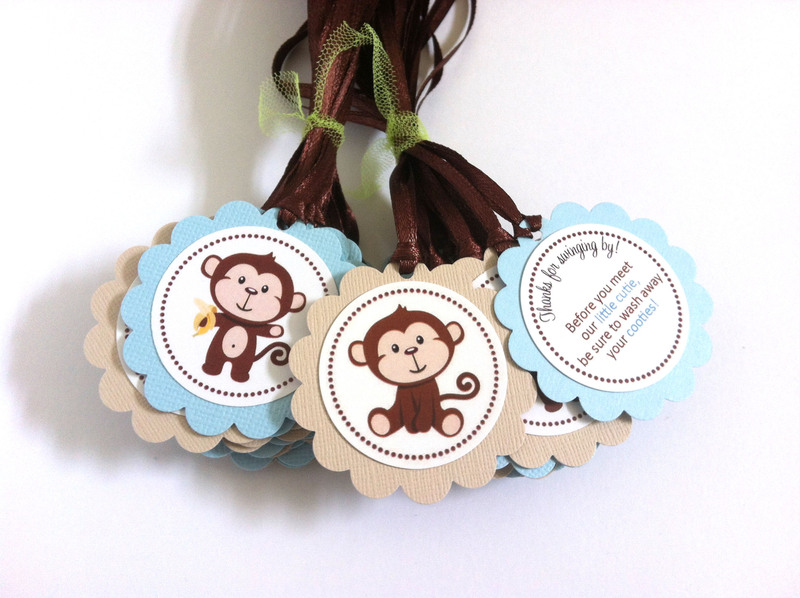 These tags can also be customized with your message. Personalization is done at the backside of the tag. Please take a look at the pictures for reference. Please note, additional fee applies for personalization. 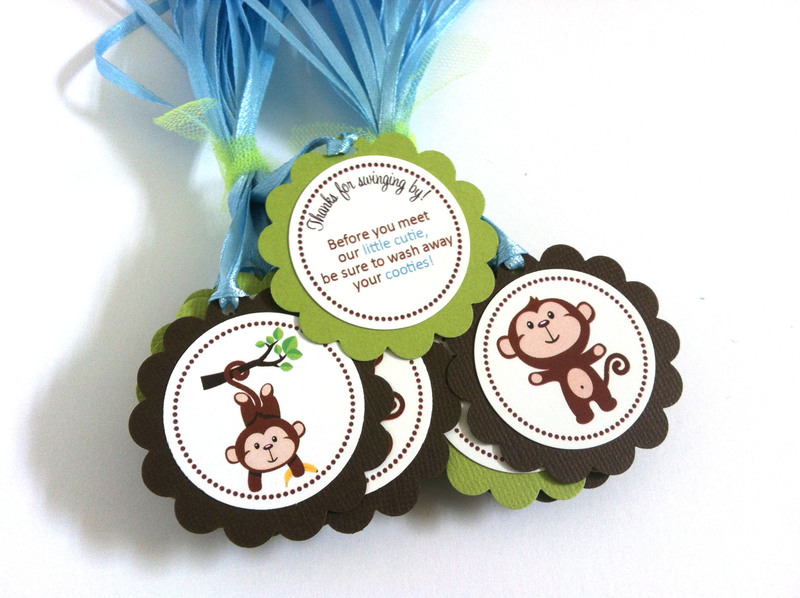 Make your tags extra special! 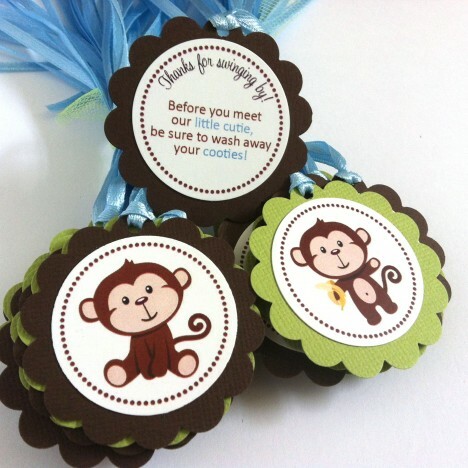 Have them personalized with your own message! Non-Personalization tags will be blank at the back. Each scallop tag measures 2 inches. 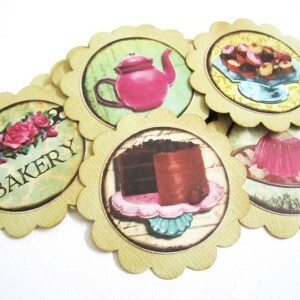 We use high quality acid free textured cardstock. 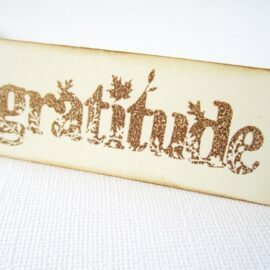 The image is printed on white cardstock using professional laser printer. 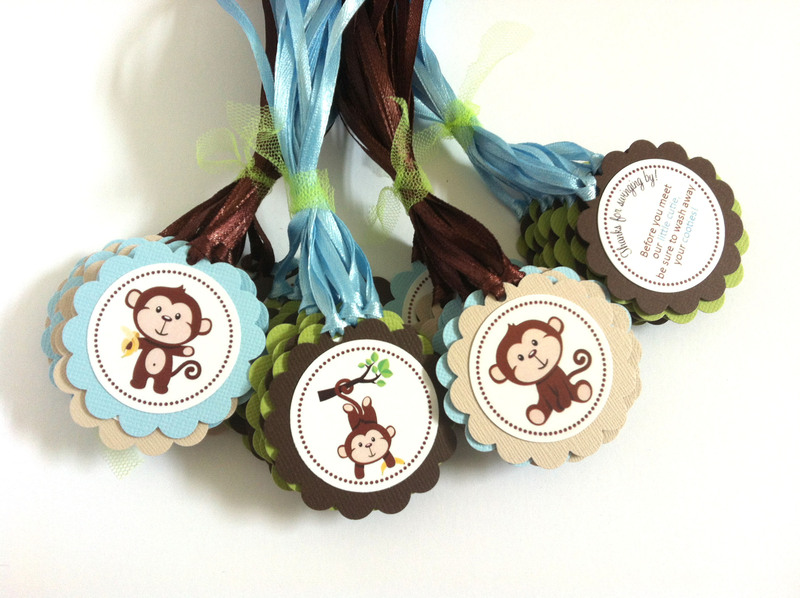 Unless requested, we will choose ribbon color based on availability. Enter your custom text (optional). No proof will be provided unless requested. If requested, proof will be e-mailed to you within 48 hours upon payment received. Please get back to us to avoid further delay. 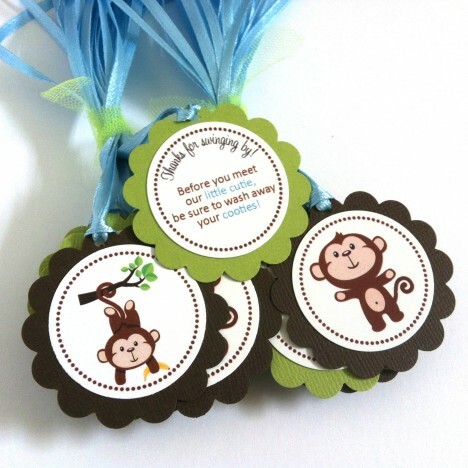 Are you looking for party decorations that compliment to these Peter Rabbit Favor Tags? 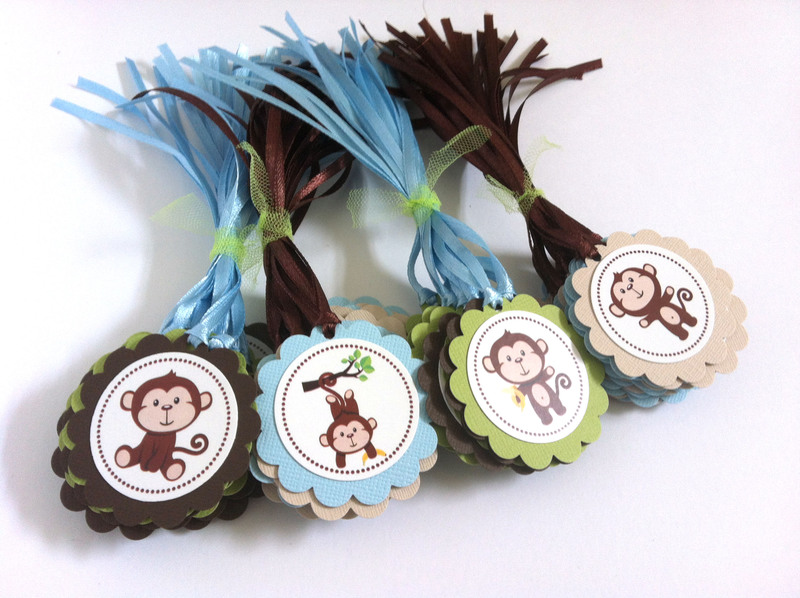 More coordinating Monkey Party Decorations for boys and girls can be found on my Facebook Page.